'One Night With Janis Joplin' was created, written and directed by Randy Johnson. Mary Bridget Davies stars as Janis Joplin, who also tours internationally with Joplin’s original band Big Brother & the Holding Company. As Janis, Davies tells the story of Joplin’s life, from growing up in Port Arthur, Texas to her move to San Francisco to join Big Brother & the Holding Company, to her breakout as a solo artist. 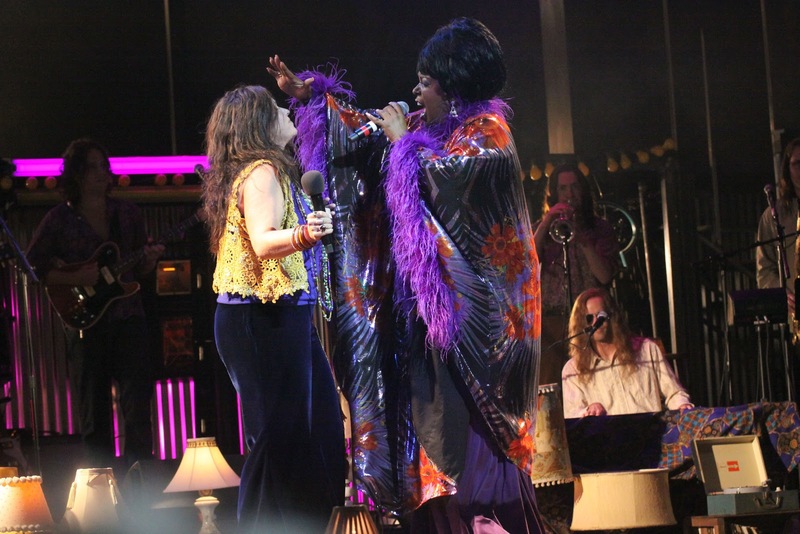 However, the life story only takes up a small portion of the show – most of it is dedicated to Joplin’s songs, as well as music from female trailblazers that inspired her, including Aretha Franklin, Etta James, and Bessie Smith. Sabrina Elayne Carten plays the blues singer that sings Frankin’s, James’ and Smith’s tunes. Joplin tragically died of a heroin overdose in 1970 before the release of her second album 'Pearl.' While I was born after Joplin died, I have heard some of her songs, namely Piece of My Heart. Davies is energetic and gives a strong performance of Joplin which seemed to get the audience more pumped up as the evening progressed. An example of this is at the end of Set One when Janis and Aretha Franklin sing ‘Spirit in the Dark’ and involve the audience in the song. If you are a Janis Joplin fan, or if you just like great music, I’d suggest seeing this show. 'One Night With Janis Joplin' runs September 28 - November 4 in the Kreeger Theater at Arena Stage. For tickets to the remaining shows, check here. Southwest Night for this show is on Wednesday, October 31, where prices are reduced for residents and/or workers in Southwest.